What Are My Debt Options? Debt Solutions You Need to Consider! 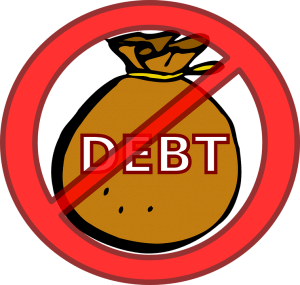 Home » Financial News » What are my debt options? Struggling with debt is overwhelming and it is common to feel like you’ve got limited options. In fact, there are a number of options available to pay down debt. The key is to become knowledgeable about these options and to find the best fit for your situation. “Depending on your circumstances, there are actually a number of different options available for consumers to get rid of their debt. Each option has its pros and cons as well as long and short term implications to consider,” says Jeff Schwartz, executive director, Consolidated Credit Counseling Services of Canada. “In order to choose the most effective path for you, it’s a good idea to talk to a trained professional, like a credit counsellor, to help guide you in the right direction,” says Schwartz. Dealing with debt? Here are some debt options to consider. DIY Debt consolidation can be a very effective way to pay down your debts by doing a balance transfer. If you have available credit on a lower interest card, transfer the balances of your other cards. Shut down the other cards and focus on the single payment, which will rid you of debt more quickly. If DIY debt consolidation isn’t an option, you might be able to do a debt consolidation loan through your financial institution. Typically, these loans charge higher interest rates than a DIY consolidation, but combining all of your payments into one will increase your cash flow. This lets you pay down your debt more quickly and manage your other expenses in cash. If you’re behind on payments another consolidation option is a debt management program (DMP). In a DMP a credit counsellor helps to develop a debt repayment plan. They negotiate interest rate and terms of repayment with your creditors on your behalf. Your creditors must agree to your participation in the program. Typically debts under a debt management program are repaid within 3-5 years. This is a good option if you don’t qualify for a traditional consolidation loan because of delinquent payments or bad credit. It’s also a good option if you have the capacity to repay your debts, but would benefit from a longer time frame to do so. If it is unlikely that you’ll be able to repay your debts in full, a consumer proposal may be an appropriate solution for you. In a consumer proposal, a Licensed Insolvency Trustee (LIT) contacts your creditors who agree to forgive a portion of your debts, while you agree to pay the remainder. This debt repayment plan is extended over a longer time period (48-60 months). As soon as you file your proposal, interest stops accruing on your debt, which can make your debt repayment more affordable. While you can expect damage to your credit history, this option is preferable to bankruptcy, because under certain conditions, your credit rating is still salvable over time. Bankruptcy should be seen as a last resort, because the implications on your credit- and on your future financial health- are significant and long lasting. Although your debts are forgiven, seemingly giving you a “fresh start” for your credit, it is far more complicated than that. There are also a number of costs involved. Additionally, when you declare bankruptcy, you are required to sell most of your assets to pay your creditors. You can expect a bankruptcy to be on your credit report for at least 7 years, making it difficult (or even impossible) to get future credit. After your bankruptcy is discharged, you will need to rebuild your credit history from scratch, which presents its own challenges.